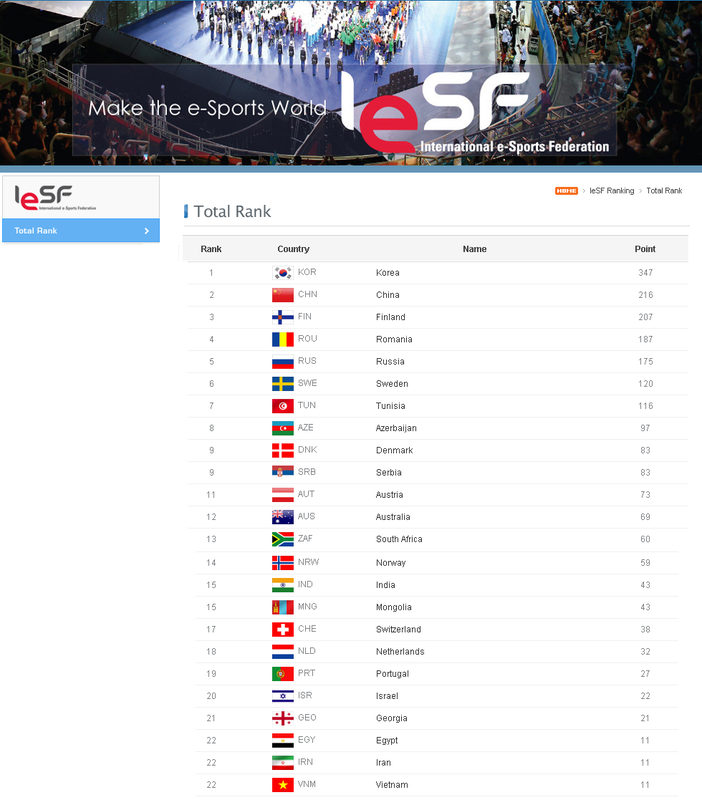 The MSSA had a highly successful trip to the IeSF's 2014 World Championships - Baku. As a result of Team eSports South Africa's performance, South Africa is currently ranked 13th in the World as per the attached. Although this is a drop of three places compared to the 2013 rankings, this is largely due to the increased levels of competition at the event. This means that Team eSports South Africa is one of the highest ranked teams in South Africa when compared to all of the other sports. However, the team did South Africa proud both on and off the field of play.